Heat maps are useful tools because they give investors an instant visual overview of how companies are performing in a market or against a given set of criteria. 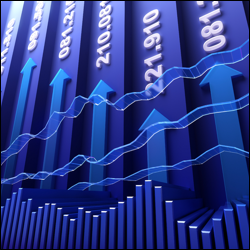 Using the Research and Data section, Financial Spreads clients have free access to heat maps for a wide range of UK and international shares. As well as highlighting the large market movements and share performance ratios, a number of technical analysis indictors can be applied to the shares and shown in the heat map format. The heat maps can also be used to show the hot spots (and cold spots) in the Broker Opinions and Director Deals. Investors who are interested in the shares of a particular country or stock market index can use the heat maps to highlight which shares are rising/falling the most over a given time period. 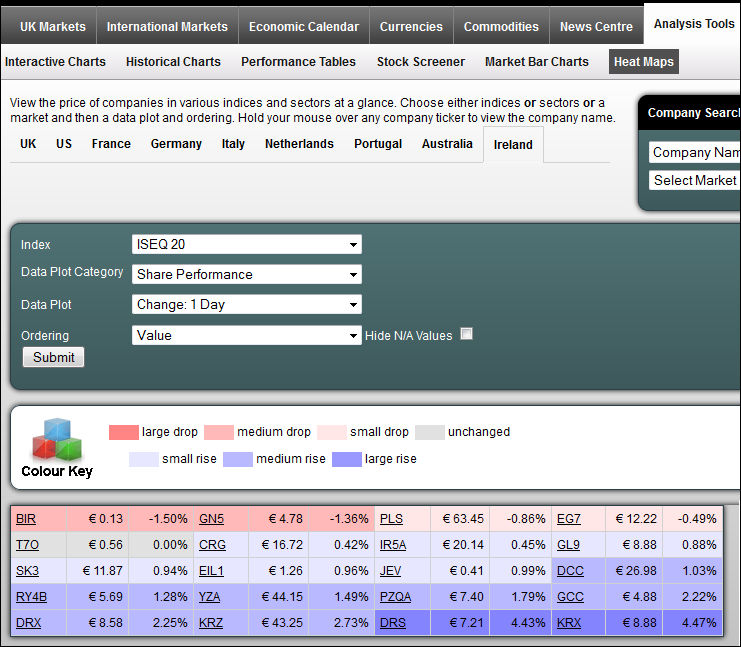 The heat maps can be used to highlight how the shares in a particular sector are performing. 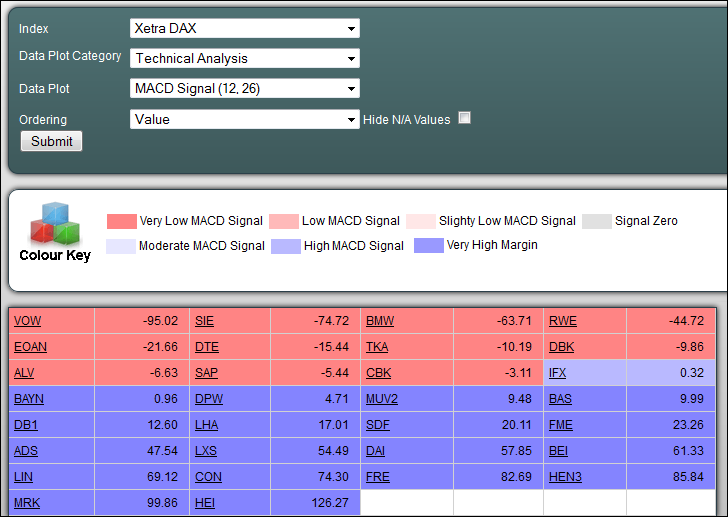 For example, the following analysis shows the MACD applied to the DAX 30 shares. The map instantly highlights which shares have a very low or very high MACD signal. Please note that not all data categories are available for all indices. 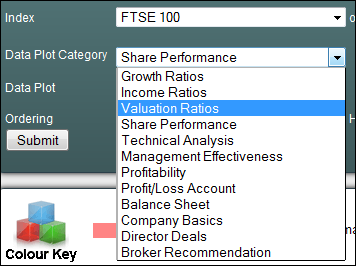 However, the above are typically available for FTSE 350 shares as well as the FTSE Small Caps. 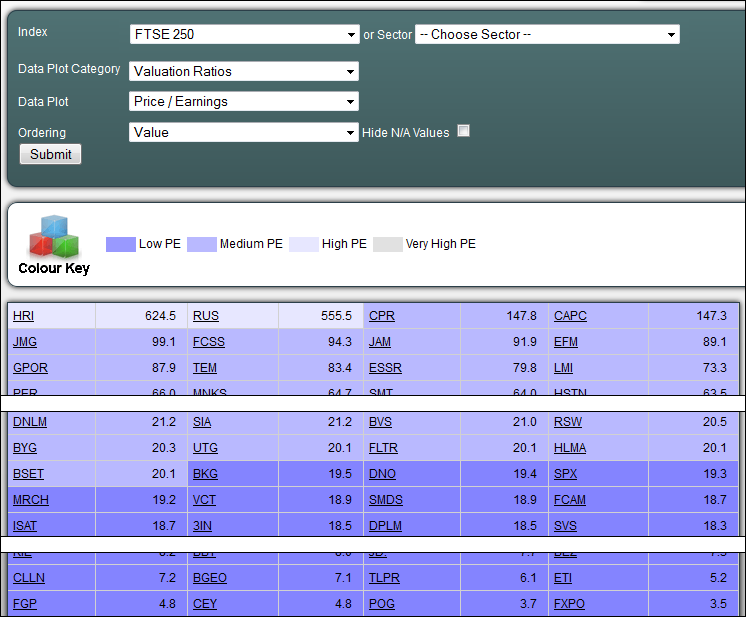 The following shows a Price/Earnings ratio heat map of FTSE 250 shares and therefore highlights the companies with high and low P/E ratios. 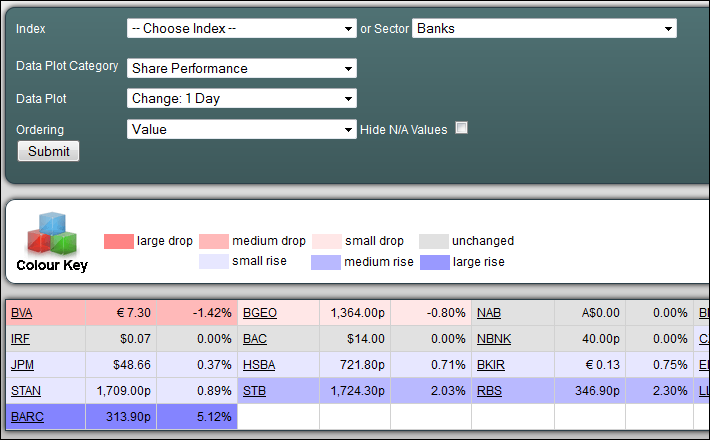 Investors can also view the broker opinions as a heat map. 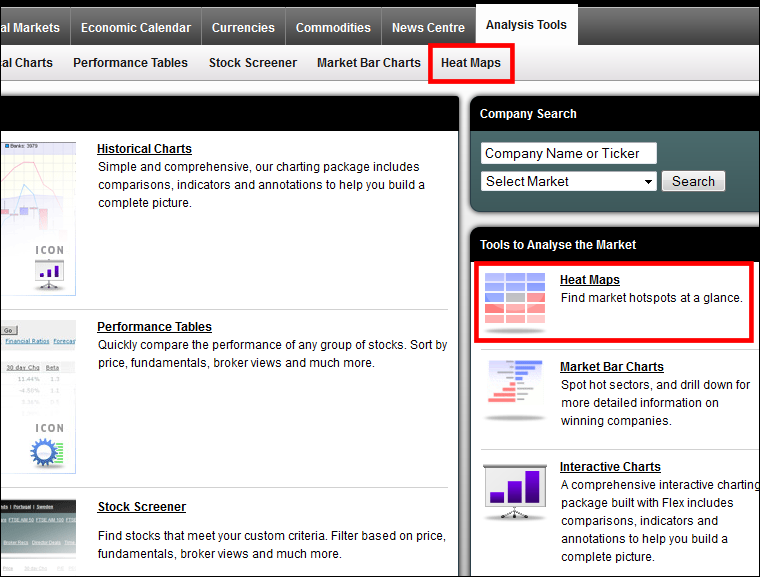 Using the heat maps, the broker opinions can be sorted by stock market index or sector. 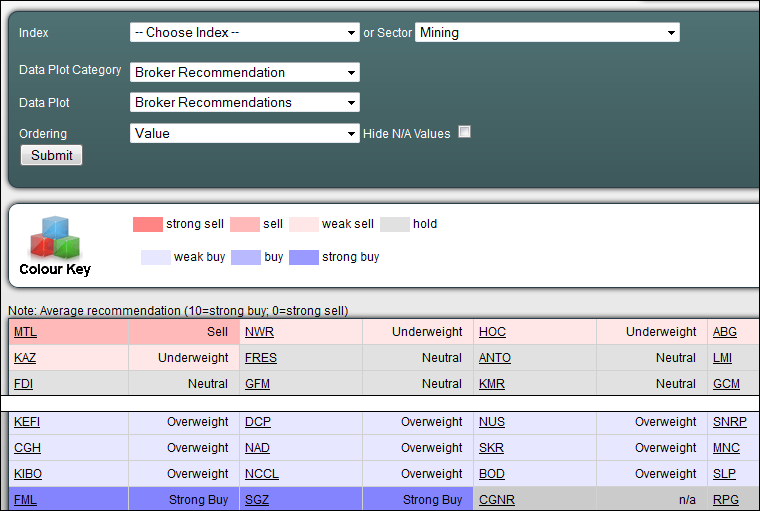 The following example shows a broker opinions heat map of how UK equities in the Mining sector are performing. 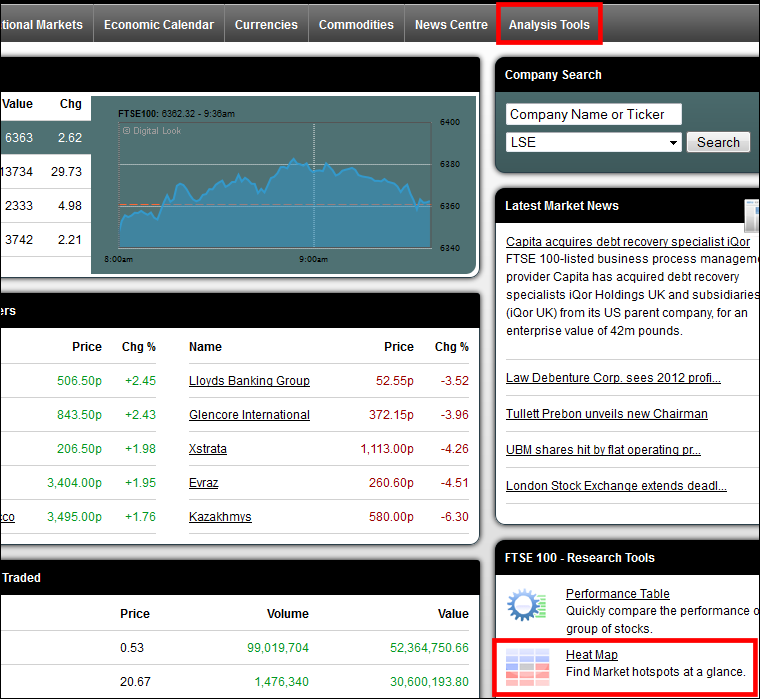 This feature is only available for UK shares, for more on what the brokers think, see Broker Opinions. 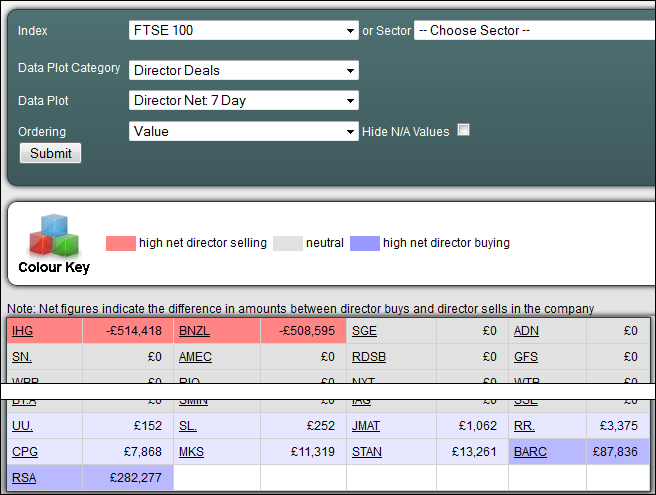 Investors can also view the Director Deals as a heat map. Using the heat maps, the Director Deals can be sorted by stock market index or sector. The following example shows a heat map of Director Deals for FTSE 100 companies which is based on the Directors' Net position over the last 7 days. This feature is only available for UK shares. For more on this topic, please see Director Deals. Log on to your live Financial Spreads account. 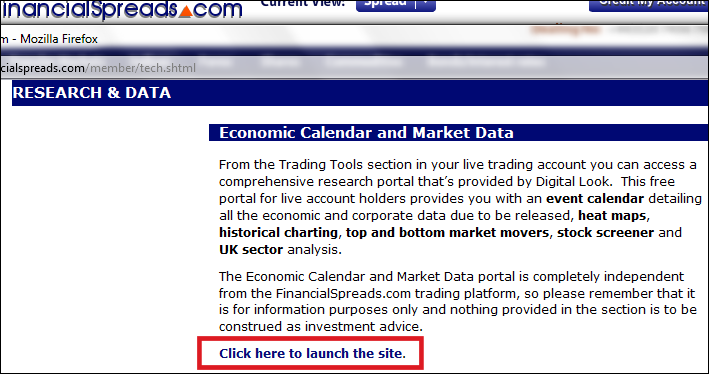 Under 'Economic Calendar and Market Data' click 'Click here to launch the site' e.g. If you click 'Heat Map' the page will default to a Heat Map of FTSE 100 shares showing how the shares have performed over the last day.